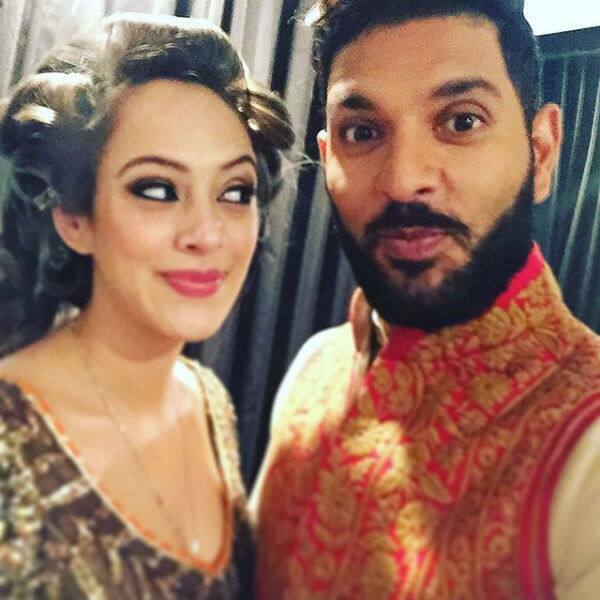 Yuvraj Singh and Hazel Keech’s wedding festivities are running in full swing. 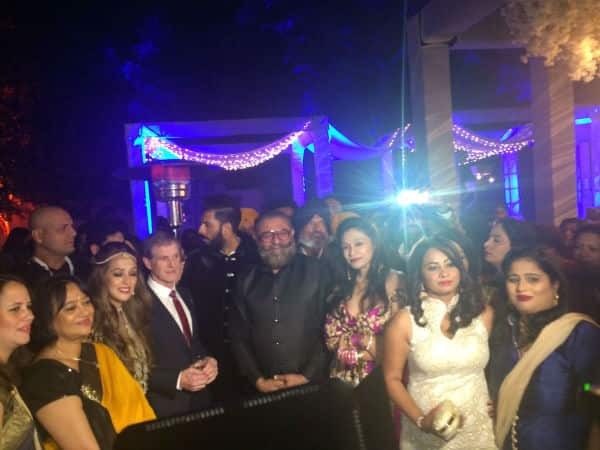 Here’s everything you need to know from their sangeet that was held last night…. 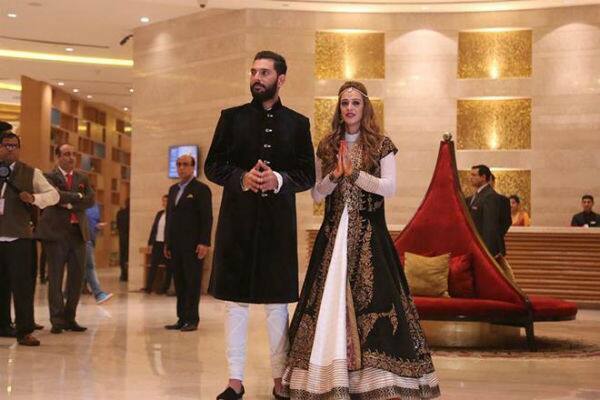 No wonder Virat Kohli had expressed his excitement to attend Yuvraj and Hazel’s sangeet ceremony the other day saying, “There is a gathering tonight at the hotel. The entire team is invited. 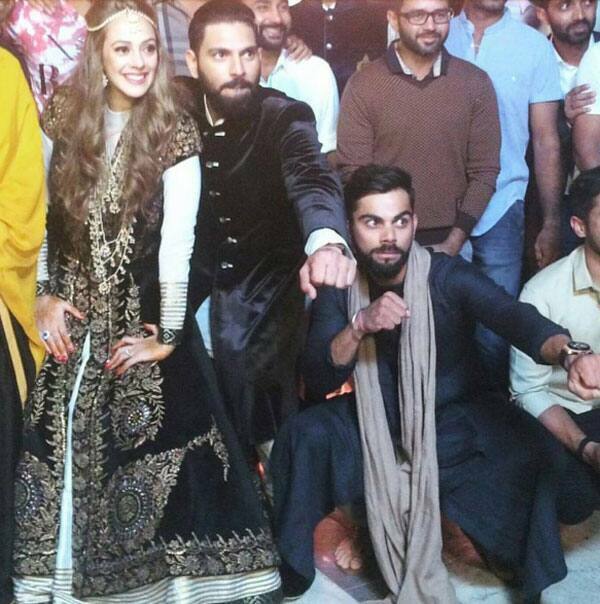 We’ll obviously go there (at Yuvi’s function). So, yeah, it’ll be a nice coincidence, I guess. Fourth day, getting the job done and you have the chance to celebrate it in the evening. 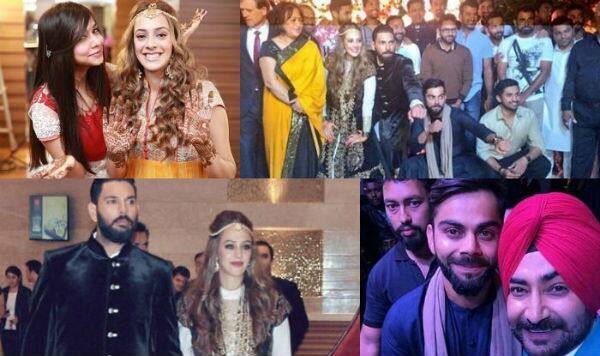 I think the guys will be more relaxed attending the function and chill a bit longer.” While reports were rife that Virat Kohli’s girlfriend Anushka Sharma too will be attending this bash. 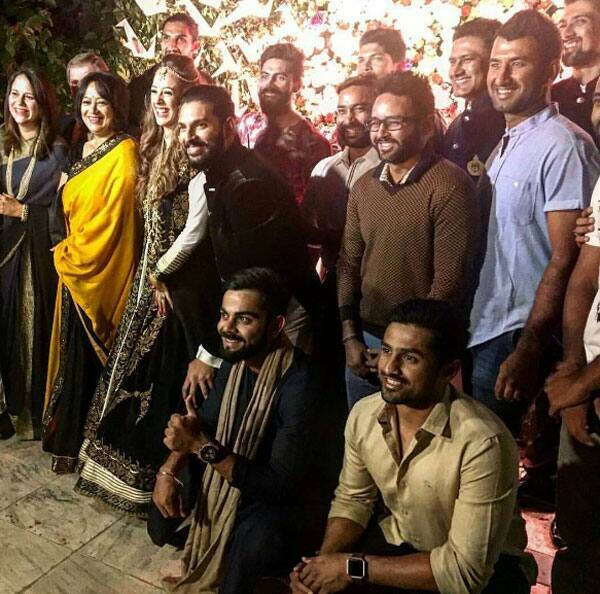 Word is that Anushka personally met Yuvraj, Hazel and family a day before yesterday and skipped the sangeet ceremony, reasons best known to her. 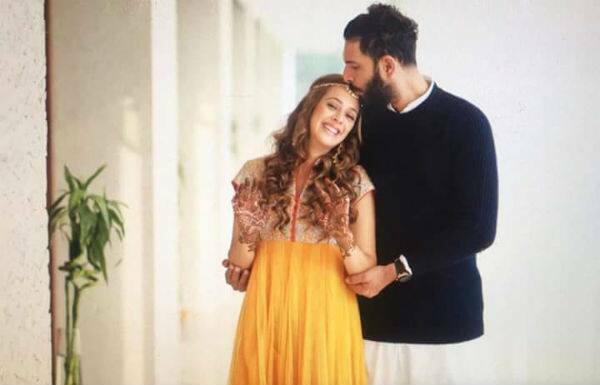 Nevertheless, now that you have all the details of what happened at Yuvraj and Hazel’s sangeet party, here check out their dreamy pictures below and tell us what do you think of this much in love couple? 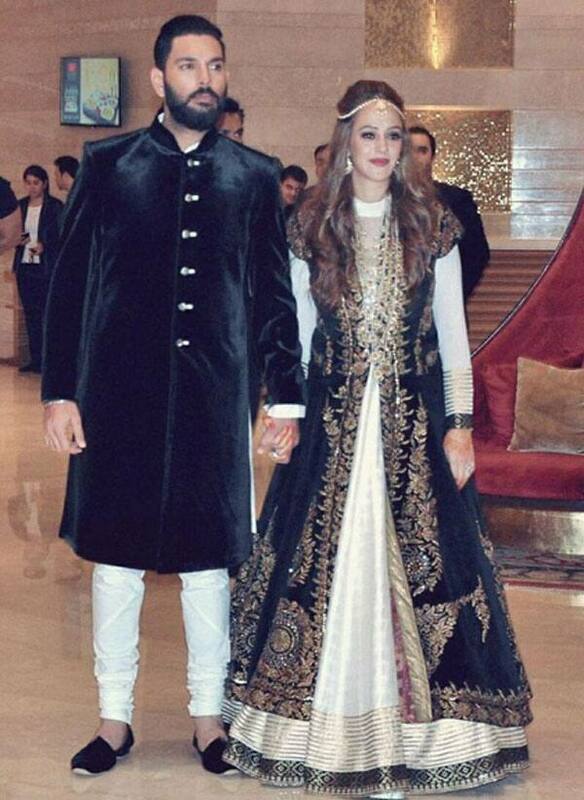 PS: The black and white picture of Yuvraj and Hazel from their sangeet photoshoot is the winner of this whole album. Here check em out NOW! 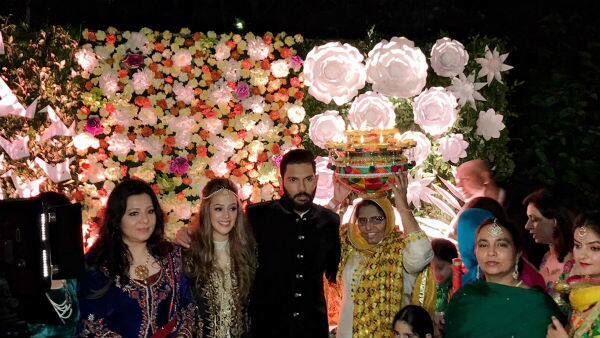 How adorable is this picture of Yuvi checking out Hazel’s mehendi? Or this one where he’s kissing Hazel’s forehead…. Okay, just frame this one, you two!!! Twinning in black and how!! 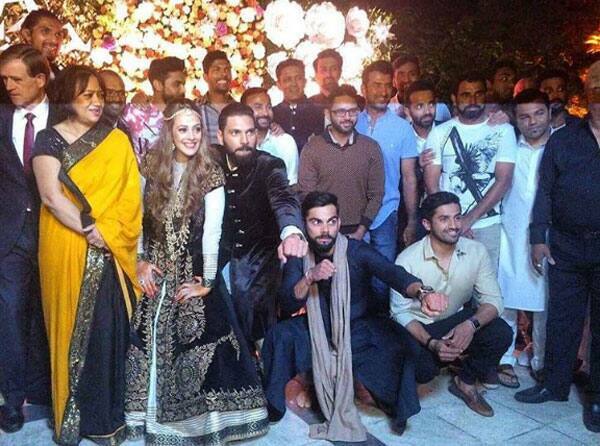 Cheers to this bunch of awesomeness! 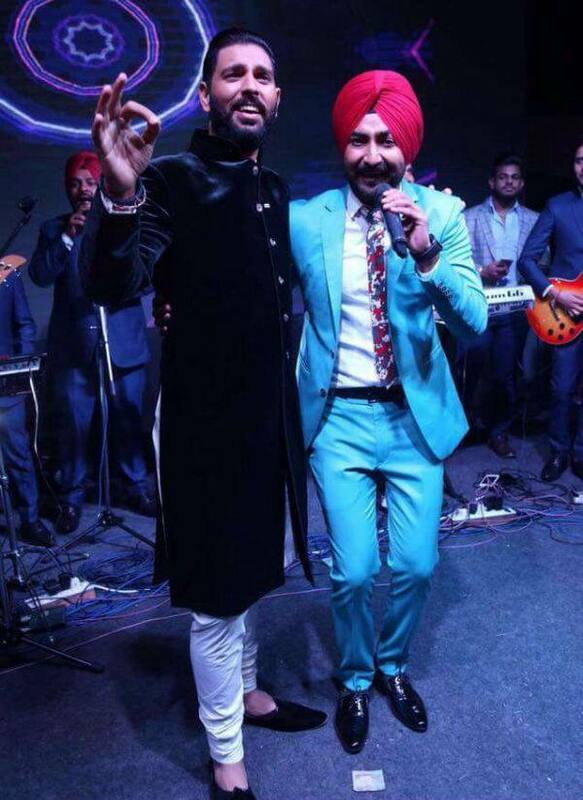 By any chance, are they trying to do the champion step? And that calls for the famous saying, “Happy people are the prettiest” amirite? 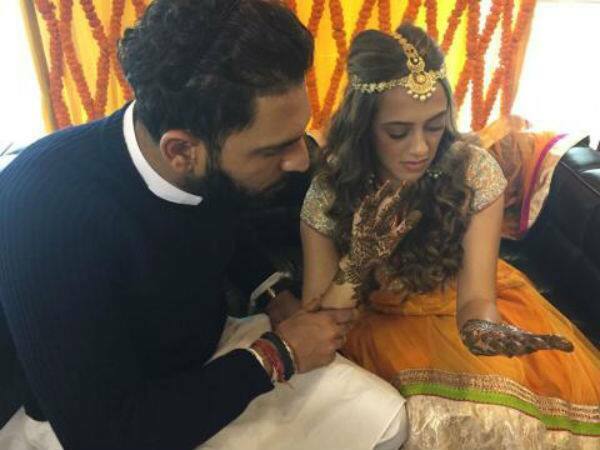 Keep watching this space as we’ll be back with more updates on Yuvraj Singh and Hazel Keech’s wedding right here.